Serinda Swan and Anson Mount explain their secret language, fighting poses and goofy canine sidekick Lockjaw. As Mel Brooks and Tom Petty said, “It’s good to be king.” Maybe they should update the saying, because it’s good to be king and queen. 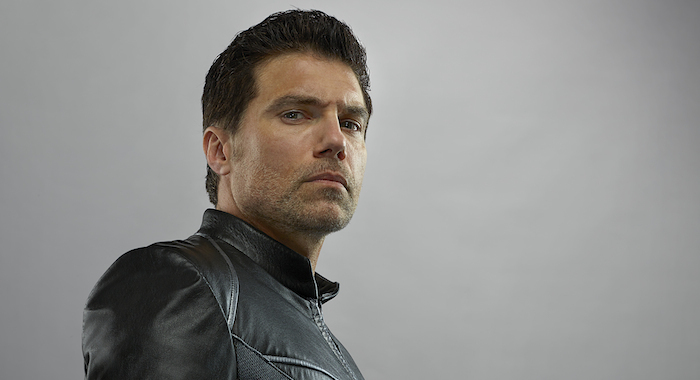 Anson Mount and Serinda Swan play Black Bolt and Medusa on Marvel’s Inhumans. They are king and queen of a colony of superhumans with powers thanks to genetic modification. Also, they live on the moon. There’s trouble brewing in their moon kingdom though. Maximus (Iwan Rheon), Black Bolt’s brother, isn’t Inhuman. He thinks it’s wrong to force humans without the Inhuman gene to work in the moon mines and leads a rebellion. 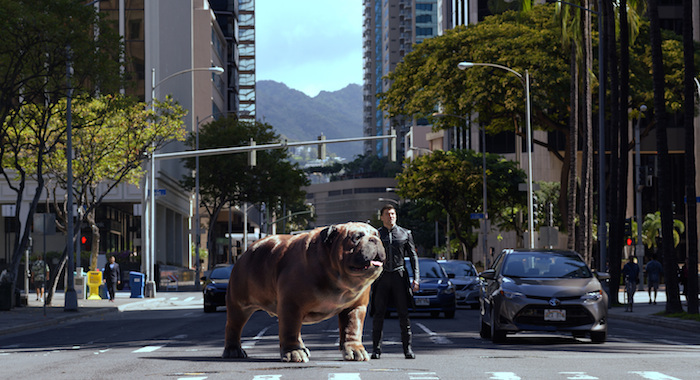 This battle takes the Inhumans to Earth, Hawaii specifically, along with their giant dog Lockjaw. Here, they’re going to run into a lot more humans. 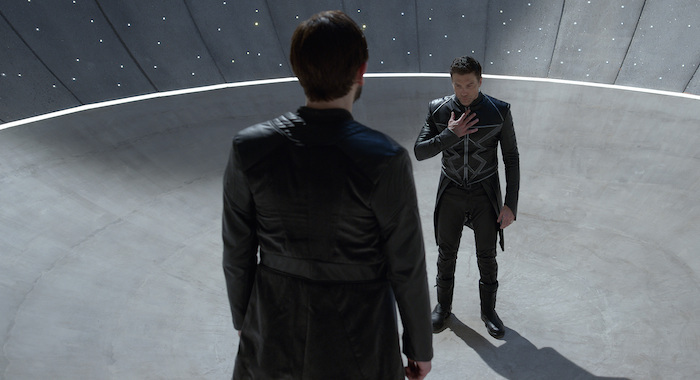 Swan and Mount spoke to Rotten Tomatoes before the premiere of Marvel’s Inhumans. 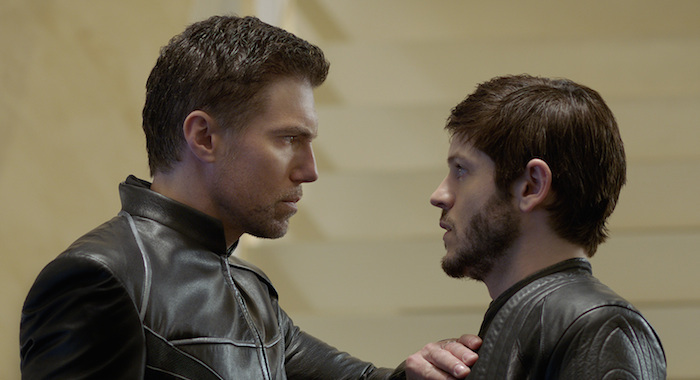 Here are eight things the king and queen of the Inhumans revealed about the eight episodes of Inhumans’s first season. At the beginning, it may seem like Medusa and Black Bolt are trying to stop a violent revolution. But then, it’s not very nice to make regular humans do all the hard work. Medusa even doubts herself. Black Bolt can’t speak. 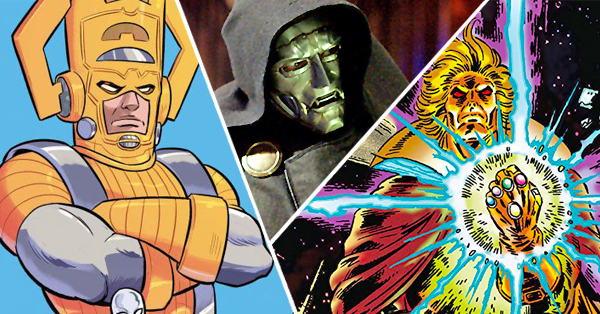 His voice can obliterate planets, so he keeps his mouth shut. Surprisingly, Mount had never been asked if Black Bolt enjoys staying mute or wishes he could speak more conventionally. Faced with the question for the first time, he decided. Black Bolt uses sign language to speak with Medusa, but it’s not American Sign Language, because that didn’t exist on the moon. Mount created his own set of signs. By the end of season one, he had a 50-page Google document listing them all. 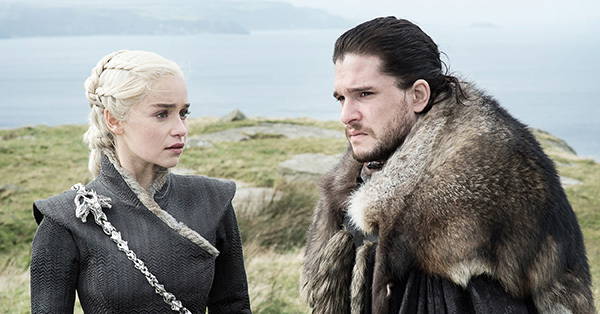 Several fictional languages are spoken by fans, like Klingon and Dothraki. 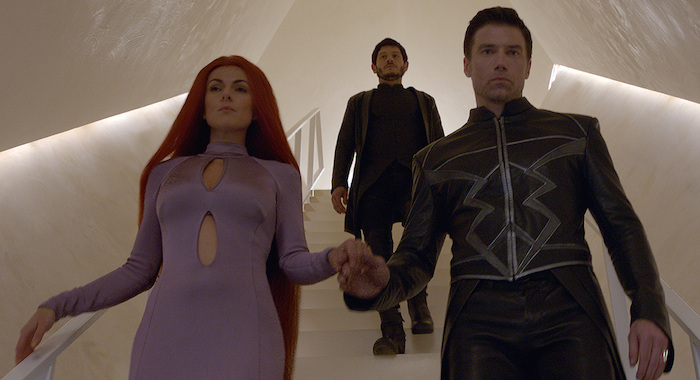 Black Bolt’s sign language could join them, eventually, but not in season one. Since the language is definitely not ASL, Mount had to check ASL to make sure he wasn’t crossing over any of the same words. One or two couldn’t help but be similar. Medusa is the only other Inhuman who knows Black Bolt’s language. That doesn’t make her a reliable translator though. Sometimes she says whatever she wants and Black Bolt can’t speak up to correct her. Swan said the Medusa wig weighs four pounds. That doesn’t sound like much, but when you have to balance it on your head all day, and it’s pulling your neck down from the floor, that can cause some serious whiplash. That’s not even the hardest part, Swan said. She’s not complaining though. “Honestly, when your struggle is carrying a Medusa wig for Marvel while shooting in Hawaii, you live with it,” Swan said. When it’s not weighing her head down, Medusa’s hair comes to life and lashes out against attackers. The first time you get to see Medusa fight with her hair, Swan held perfectly still and let the hair do all the work. That’s not Medusa’s only move though. You’ll see her spring into action too. 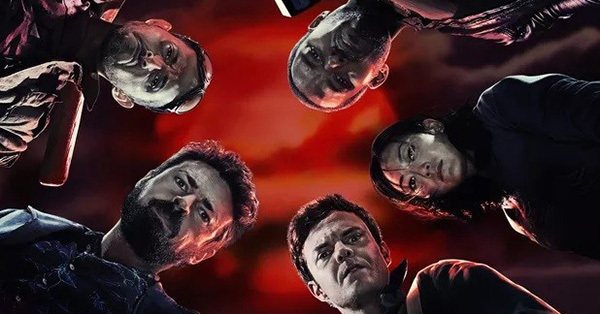 There’ve been many dark and gritty comic book movies, and the Marvel shows on Netflix, but this one is for kids. Tell a five-year-old that there are superheroes living on the moon, and that’s gonna make them happy. But there are some scenes that require parental guidance. Medusa and Black Bolt have a love scene. Kids will love Lockjaw too. Mount says he provides the laughsk but is also pivotal in the story. 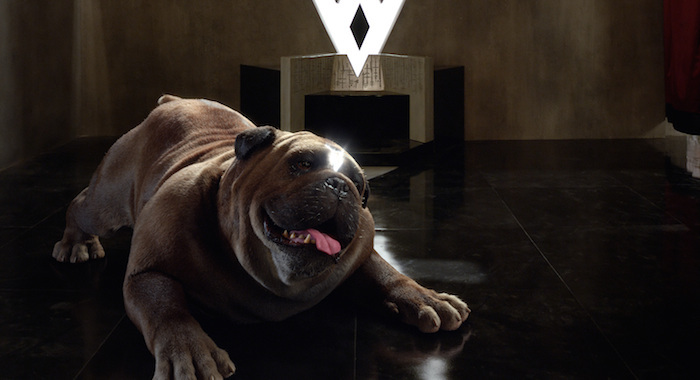 The comic books were a great source of inspiration for the cast and creators of Inhumans, but from there they had to embellish. 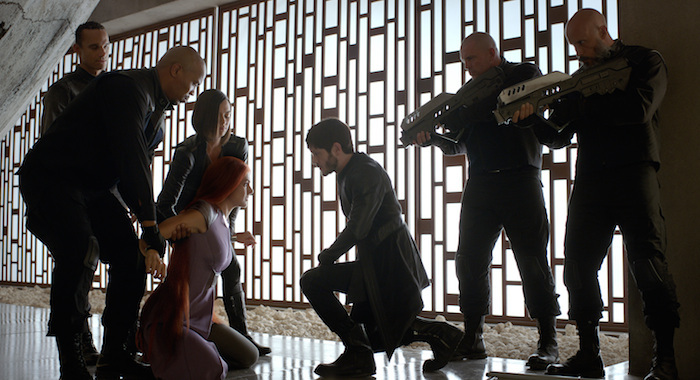 Marvel’s Inhumans premieres in IMAX theaters September 1 and begins its network run at 8 p.m. ET on September 29 on ABC.